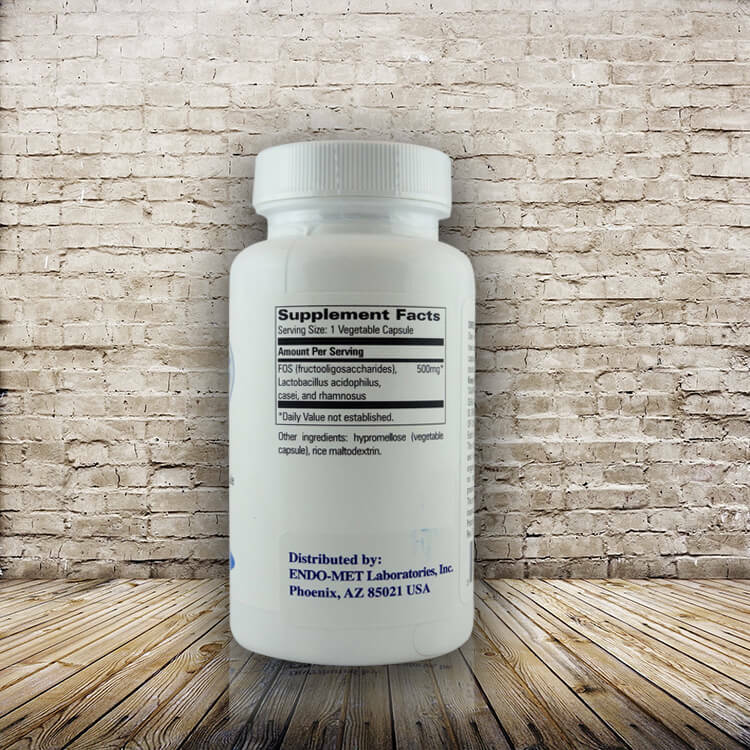 ACID RESISTANT – DELAYED RELEASE DIETARY SUPPLEMENT Suggested Use: One capsule daily, or as directed by a physician. How Supplied: Bottles of 90 capsules..
Each capsule contains 2.8 billion live organisms. 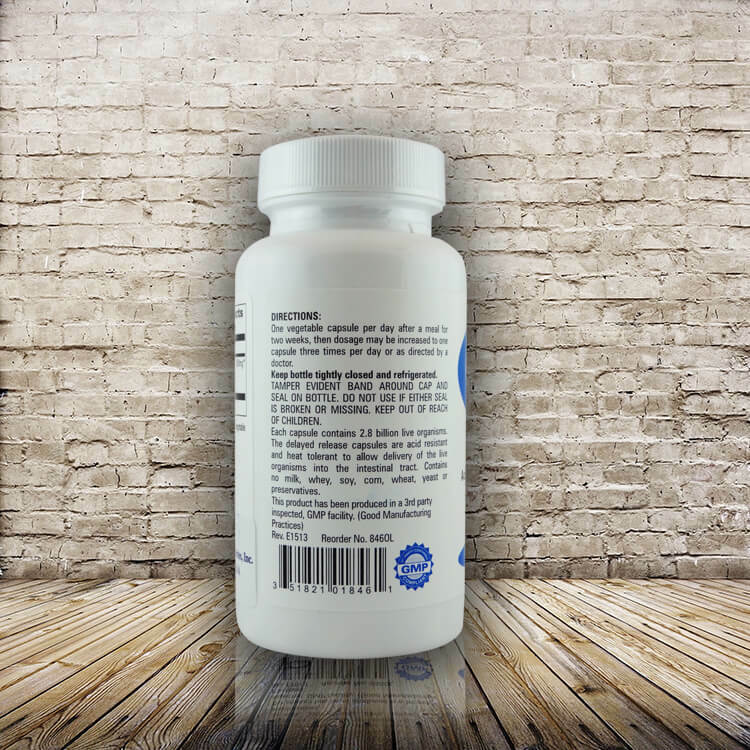 The delayed release capsules are acid resistant and heat tolerant to allow delivery of the live organisms into the intestinal tract. 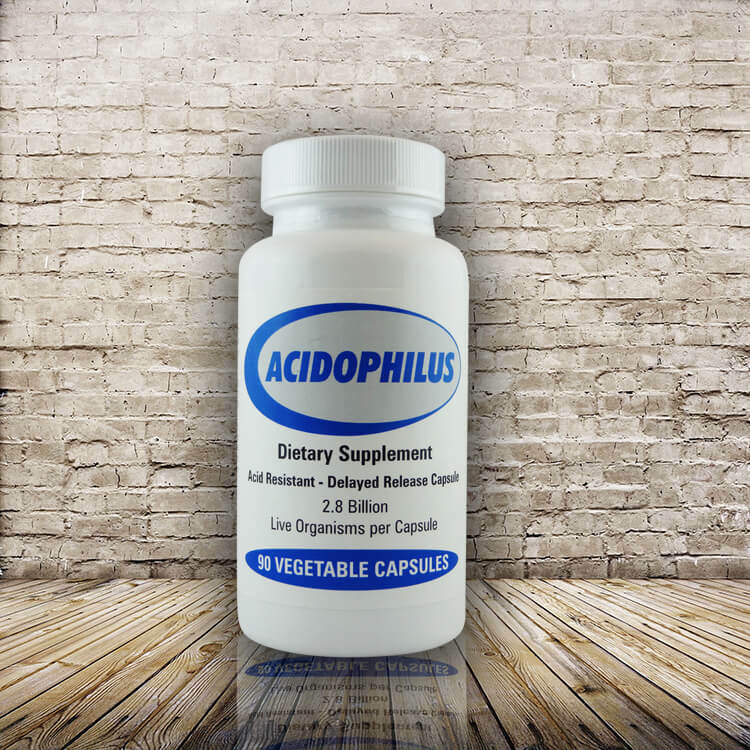 Acidophilus should be taken on an empty stomach; first thing in the morning and one hour before each meal.